Perfect side dish to go with any dinner. 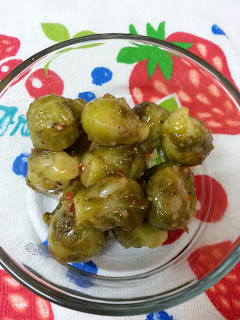 Boil brussels sprouts until tender. Drain and place sprouts in a bowl. Sprinkle sprouts with salt and pepper. Pour italian dressing over brussels sprouts, toss to coat. Cover and place in refrigerator for 1 to 4 hours. Just before serving sprinkle with parmesan cheese. Serve chilled.